Are You Living The GRAND Life? Living courageously with heart, following your deepest yearning, seeking truth, making the most of moments, orienting to purpose in all of life’s phases and situations, feeling fully alive, touching others deeply, building robust relationships, risking to be real…these are just some of the aspects of Living a GRAND Life. Too often we mistakenly define our lives just by what we do, and we forget about the most important thing—who we are. Living the GRAND life means re-orienting to what really matters so that we are taking advantage of every moment to fully live the adventure of life. In Living the GRAND life, we’ll be exploring what it means to have a sense of purpose that informs all areas of life. We’ll share specific perspectives, tips, and insights to learn how to create robust, dynamic, relationships that continually grow and evolve and are a blessing to those around us. We’ll look at friendships, family, community, spiritual life, and all areas of life where we actively live with a sense of purpose and mission. At the core, Living the GRAND life starts, and ends, with you—not just what you are doing, but who you choose to be no matter what you do. Relationships are one of the most important aspects of Living a GRAND life, but too often our notions of what it means to have a great relationship are outdated at best and harmful at worst. Whether we are relating to our significant other, our children, grandchildren, friends, neighbors, or colleagues, we are challenged to generate maximum benefit for others as well as ourselves. We want to create the best outcome, but our effort is often interrupted by mistaken beliefs about what it really takes to have a great relationship. At this point in life, you probably realize that true love isn’t about holding hands while walking through a field of wildflowers or murmuring sweet nothings into someone’s ear. You know that relationships can be rocky. 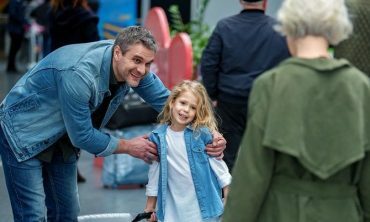 True love, whether with a romantic partner or a relationship with a son or daughter, means that you both dig in the dirt of the relationship and pull the weeds to create an ever-growing sense of intimacy. It means hugging and yelling, playing and fighting, comforting and challenging each other. It means being real, not careful. If you want real love, you need to be willing to feel everything: the fear, hurt, anger, and sadness, as well as the joy and bliss. So love is messy. Why focus on this? Because only when you wrap your head around the messiness can you appreciate what it takes to create strong, robust, thriving relationships. And conflict is key. Everyone has conflict. EVERYONE. Conflict is a fact of an engaged, GRAND life. As each dance partner does his or her own steps, they step on each other’s toes. In order to get really good at relationships, we need to bump into each other. Conflict comes up every time you have a different desire, opinion, or viewpoint—which, if you are honest and engaged, is often. It’s everywhere. Dealing with it productively is what brings you closer, and not dealing with it, or dealing with it unproductively creates distance. If you want to go on the journey of creating more closeness with your friends, spouse, children, grandchildren, partners, you need to be willing to consider teasing the conflict to the surface and practice digging into it rather than avoiding it. Where do you have a disconnect in a relationship? What issues, conversations, or people are you avoiding? Sidestepping even the smallest hurts drains our precious energy and creates distance and regrets. Let yourself inventory all the relationships that need some tending. Are you afraid by telling the truth, you’ll get into a fight? No problem. In the next issue, we’ll give you some tips and pointers on how to begin learning to use fighting to not only face conflict, but to actually get closer with those you love. 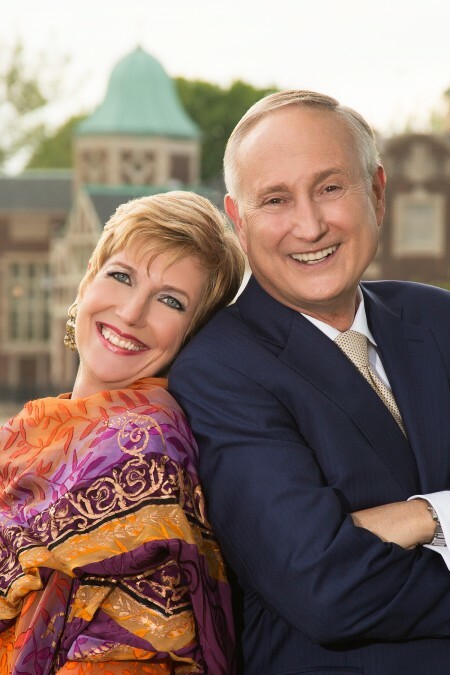 Dr. Judith Wright and Dr. Bob Wright, are a husband/wife duo and Chicago-based relationship counselors. 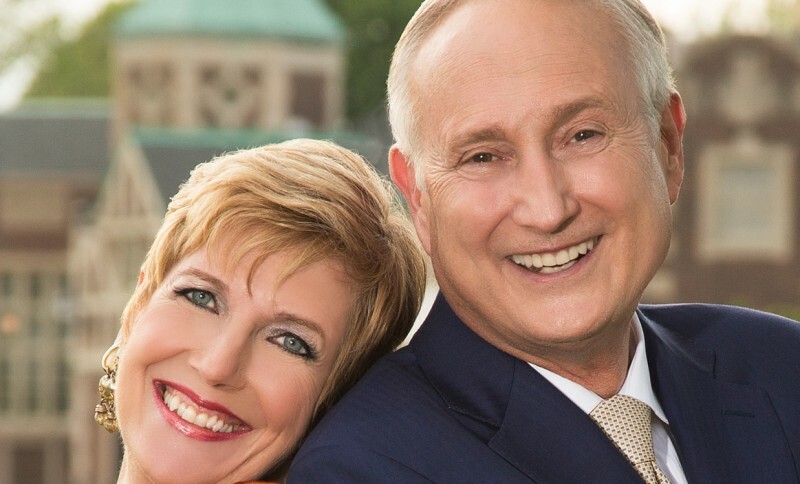 They are award-winning authors and trainers and have appeared on numerous TV and radio programs including ABC’s 20/20, Good Morning America, Oprah, the Today Show, the Boston Globe, Chicago Tribune, Marie Claire, Better Homes and Gardens, and Vanity Fair. 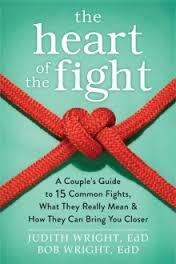 They are the co-authors of “The Heart of the Fight: A Couples Guide to 15 Common Fights, What They Really Mean & How They Can Bring You Closer. Minimize the negative. Minimize the destructive, contemptuous fighting tactics like blaming, attacking, name-calling, sarcasm, and mocking. No fight is perfect but low blows don’t get you anywhere. Accentuate the Positive. Use fighting tactics to move you forward. Be open, vulnerable, genuine, and truthful, and tell your partner why they truly matter to you. Never take or give more than 50% of the blame. It takes two to tango! Maybe your partner started the argument, but you were the one who responded poorly. In any fight, the highest percentage of blame any one person can have is 50%. It may not be easy, but if you can stick to this rule, you’ll be amazed how much more productive your fight will be. Take 100% responsibility for your own happiness. It’s your job to make yourself happy and yours alone. Don’t expect your partner to be a mind reader. If you want something specific in your relationship, ask for it. Be direct. Express and agree with the truth, always. Every time your partner says something that is true (for him or her), acknowledge it. In most fights a lot of true things get said, but we don’t admit it. Really practice saying, “You’re right”…”Good point”…”Hadn’t thought of it that way” and so on. And if you were wrong, fess up. The truth goes a long way. Fight FOR, not against. Most of us fight against something we don’t want vs. fighting for what we do want. What are you fighting for? Do you want to be heard, affirmed, or to matter? Do you want to be closer? Get a certain result? Go for it directly. And watch the complaining, as that’s never fighting for something. Assume goodwill. Always assume the other person has good will, rather than ill will for you. Sure, you may sometimes want to hurt your partner or they want to hurt you in the heat of the battle. By assuming they have positive intentions, rather than assuming they have it out for you, your fight will more likely get resolved. Teach Your GRANDkids To READ! Their Success Depends On It!